A new pilot program to help combat gender violence now in place in more than 150 businesses and organizations in the Spanish region of Galicia is being showcased by the federal government’s Observatorio contra la Violencia Doméstica y de Género (Domestic and Gender Violence Commission) as a model to be followed across Spain and worldwide. Developed in Galicia with the assistance of the Asociación Española de Auditores Socio Laborales (Spanish Association of Workplace Auditors), the new Protocol for the Prevention of Gender Violence in the Workplace is activated when co-workers note signs that a women may be the victim of gender violence on the job or at home, with a specially trained on-site counselor at the workplace stepping in to advise the woman of her rights and offer to help put her in touch with victim-assistance programs or local law enforcement authorities. According to Ángeles Carmona, president of the government’s Domestic and Gender Violence Commission, the program is proving particularly effective in giving women a sense of security that when stepping forward to denounce cases of abuse, their claims will be heard and acted on by authorities. 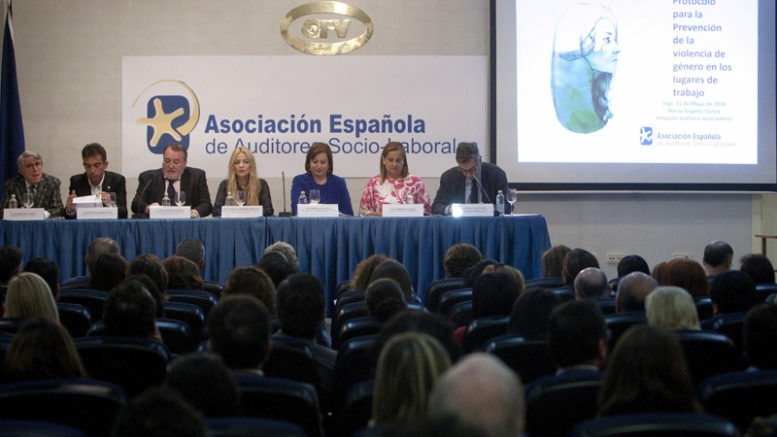 Carmena noted that the program is important for regions like Galicia that have large rural populations and many small towns, given that some 72 percent of all murders linked to gender violence in Spain occur in towns or small cities with less than 100,000 inhabitants.